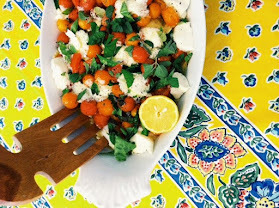 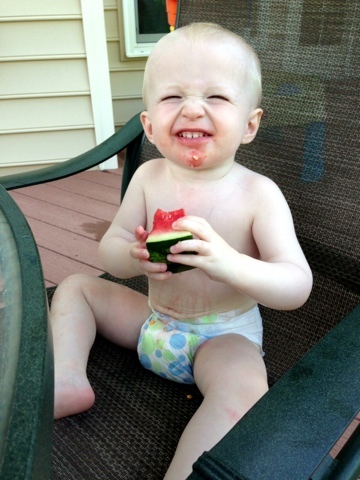 Summertime is about watermelon dripping down the belly of a toddler. 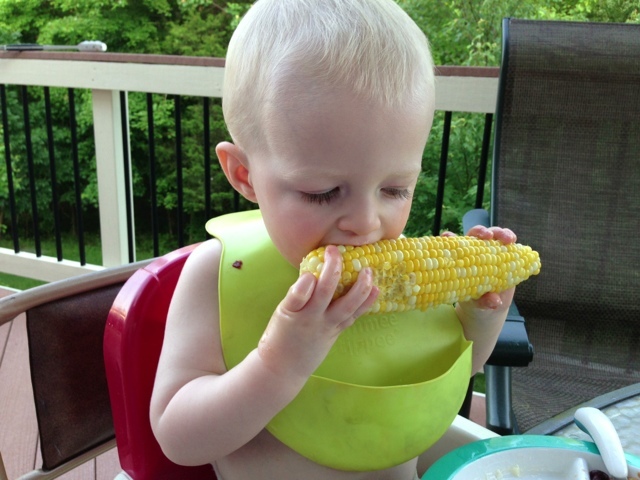 It's about that same toddler devouring two ears of corn. 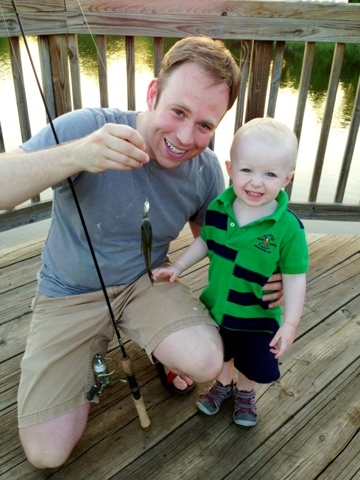 It's about walking to the pond, feeding the fish, and watching daddy catch one.